Have you seen Jack the ginger Terrier? 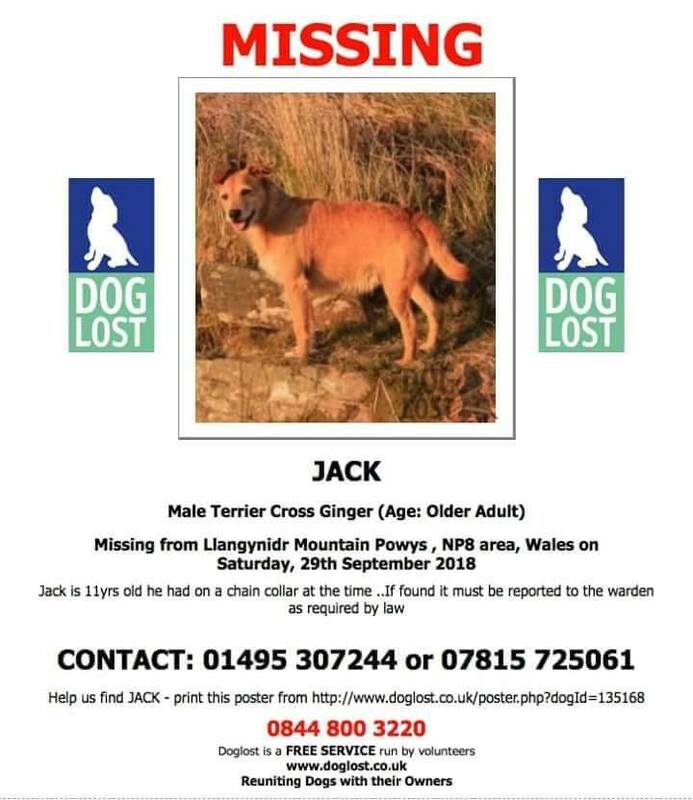 Have you seen Jack, the male ginger Terrier? He is an 11-year-old dog that was lost on Llangynidr mountain above Llangattock nearest postcode is NP8. If you have any information on his whereabouts please call 01495 307244 or 07815 725061. He has been missing since September 29th. More information can be seen below. Plastic Free Communities want to Mass Unwrap the UK! Are you in? Tuesday afternoon drop in craft session at So Artrageous! 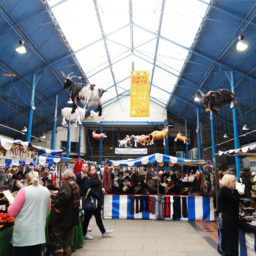 Station Enterprises, Station Road, Abergavenny. 2-4 p.m.